Our mission is to inspire students to become innovative thinkers who communicate with intelligence and clarity, create with vision and purpose, and act with courage and compassion to confidently make a meaningful difference in the world. Through a strategic planning process, our community developed the mission and the following nine core beliefs. Click the image at far left to see the entire strategic plan. 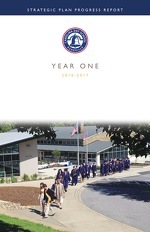 The Strategic Plan Progress Report: Year One publication outlines our progress throughout the 2016-17 school year. We look forward to reporting the school's exciting progress annually. Great schools create opportunities for students to acquire and develop the knowledge, skills and habits necessary to successfully design their own futures. We spark curiosity and ignite intellectual pursuit by asking students to question, explore in depth, consider multiple perspectives, and regularly reflect and evaluate their learning. In this video, Head of School Kirk Duncan talks with Upper School global studies teacher Prudence Munkittrick about how students become intellectually engaged through collaborative inquiry learning. Honor, integrity, and empathy, guided by respect and a deep understanding for the people and the world around us, are key to nurturing responsible students of sound character. We share a commitment to integrity, respect, good citizenship and honorable behavior through active dialogue and service to others. In this video, Head of School Kirk Duncan and boys basketball coach Trip Cogburn '98 discuss the importance of character development. Excellent schools attract outstanding faculty members who are highly knowledgeable and passionate about their disciplines and who derive energy and excitement from engaging with students and collaborating with colleagues. We incorporate advancements in technology, authentic experience, and research-based practices to promote meaningful and relevant learning that inspires. In this video, Head of School Kirk Duncan talks with faculty members Bill Wolfe and Sara DiLuzio about what working at Carolina Day School means to them as teaching professionals. Students' lives are enriched by being part of a close-­knit community where meaningful relationships with adults create a safe, caring environment to play, work, and learn. Pre-K/12, our unparalleled faculty/student relationships are the heart of our school; we know, love and care deeply about our students and are determined to help them find joy and success on their CDS journey and beyond. In this video, Head of School Kirk Duncan talks with faculty members Carol Lareau and Missy Sullivan about the developmental importance of building and fostering relationships between students and faculty. Each student is a unique learner with strengths, weaknesses, and unlimited potential for growth. 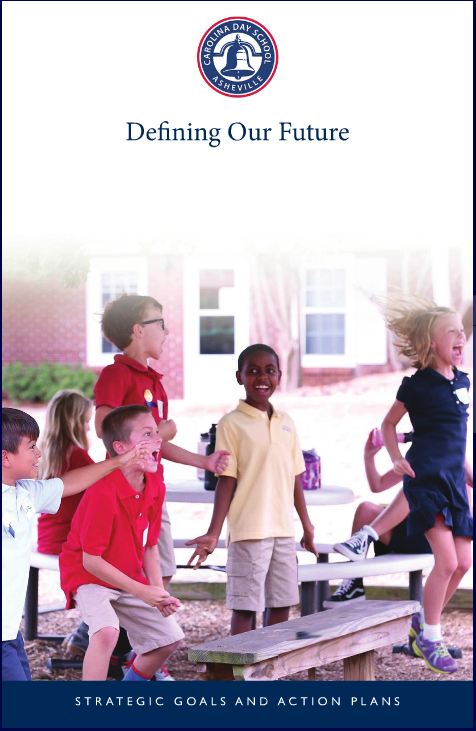 Our programs in each division are carefully designed based on a keen understanding of students’ cognitive, social, and emotional development, and we design curriculum, develop programs, and create flexible classroom environments that provide each student with a greater opportunity to find success. In this video, Head of School Kirk Duncan talks with faculty members Jeff Kalil and Beth Heinberg about tailoring learning to maximize potential. Courageous learners embrace obstacles and unlock challenges by designing creative approaches and solutions. Our students engage in inquiry and exploration—both independently and collaboratively—to become self­-reliant, creative, and resilient learners who view setbacks as opportunities to pursue new paths and ideas. In this video, Head of School Kirk Duncan talks with Academic Dean/Grades 6-12 Meera Shah in Joanne Bartsch's Grade 9 biology class about how students gain deeper knowledge by engaging in meaningful critical thinking and problem-solving. Co­curricular programs reach beyond classroom walls, providing opportunities for students to initiate ideas, collaborate with others, and build leadership skills. Student clubs, community internships, service learning, and programs in the arts and athletics provide students platforms to discover interests, share talents, learn to be leaders, and turn empathy into action. In this video, Head of School Kirk Duncan talks with Upper School French teacher Kathryn Garrison about one of our signature programs, an exchange between Carolina Day School and Lycée Notre Dame—a school in Dijon, France—and how this immersive experience helps students grow and expand their global awareness. Diversity adds quality to a community by cultivating a richness of ideas, a broadening of perspectives and a respect for others. We are committed to building a faculty, student body, and school culture which reflect the diversity of the greater world around us. In this video, Head of School Kirk Duncan talks with Paco Marmolejos, CDS parent, teacher, and team leader at Key School. Together they discuss the National Association of Independent Schools People of Color Conference and what they brought back to our students from the experience. History, tradition, and rites of passage instill identity, create a sense of community, and foster school spirit. We value and celebrate our school traditions, which evolve and shape our community, link the past to the present, and help us understand we belong to something larger than ourselves. In this video, Head of School Kirk Duncan and Assistant Director of Alumni Relations and Community Engagement Elizabeth Garland talk about this long history of tradition at Carolina Day and its predecessor schools.